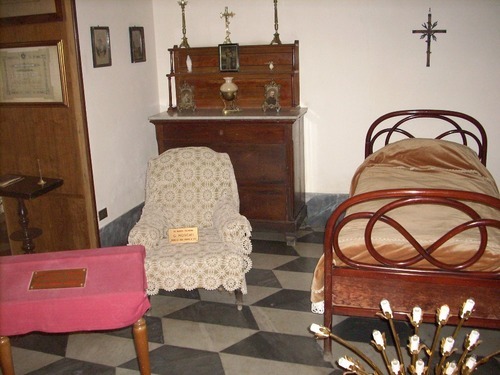 The main rooms of last Giuseppe Moscati's home have been reconstructed in a little museum adjoining the famous Jesuits' church of Gesù Nuovo1 in Naples. 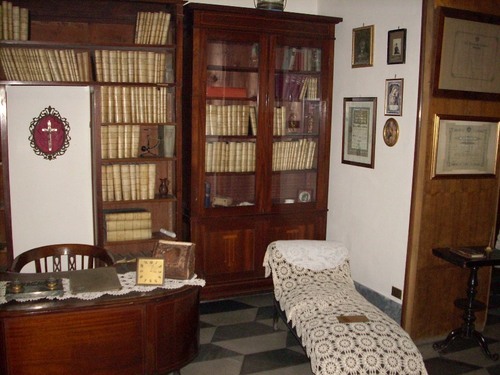 The "Stanze Moscati" contain his home medical study (with his library) and his bedroom (with the armchair in which he died). 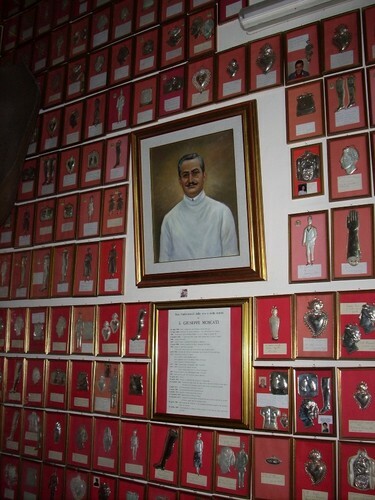 Moreover, many objects and documents belonged to the saint physician can be seen, together with many ex voto and portraits of the saint. See more Giuseppe Moscati’s personal belongings. 1. See the Gesù Nuovo official website.